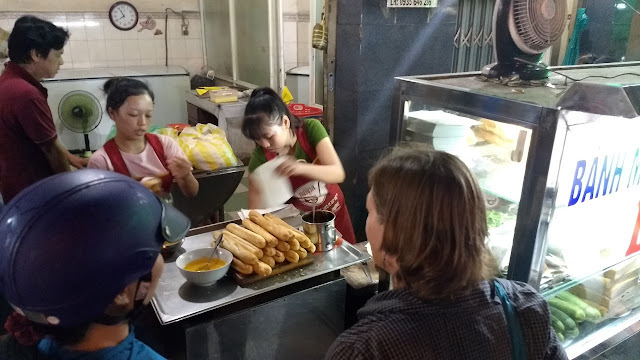 After soldiering our way through numerous mediocre-to-bad bánh mì on our visits to Hanoi, we finally hit the jackpot in Da Nang at Bánh Mỳ Bà Lan. 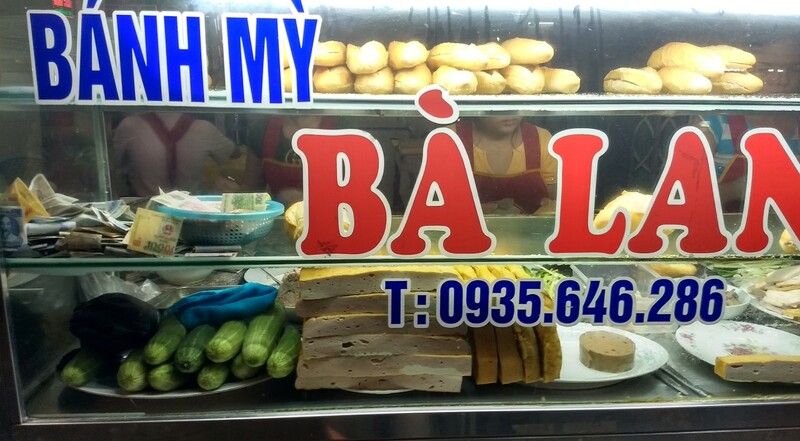 This place was hopping - they were selling sandwiches as fast as they could make them. This was simple perfection. 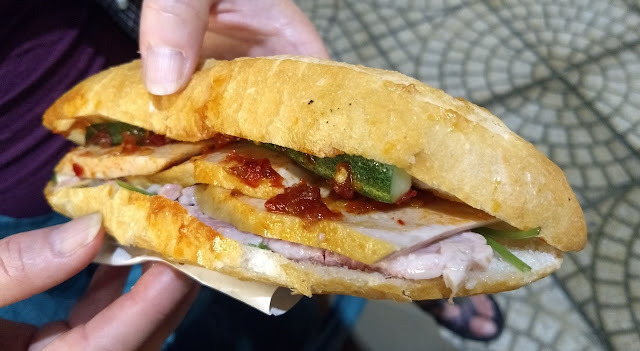 Great bread, tasty pâté, nice meats (an assortment of pork), crunchy veg, and a tasty chili sauce. 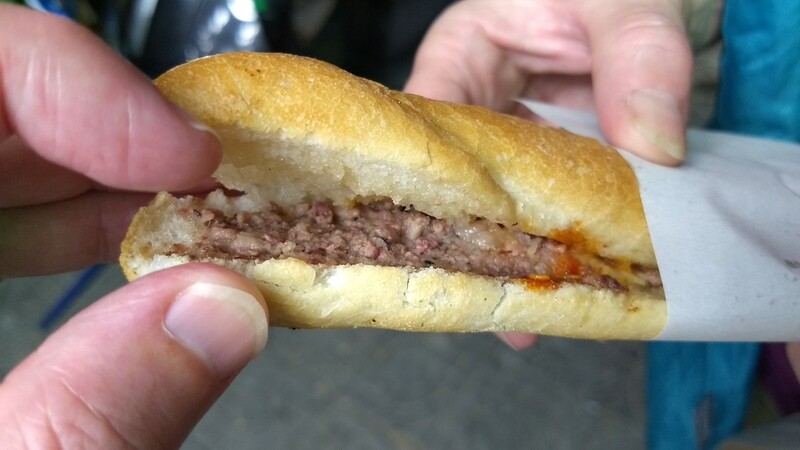 As a bonus, we got a cute mini-baguette with just pâté and some chili sauce on it. Really good, and a great little snack for 8000 dong (or about 30 cents).